While there are 100’s of species of grasshoppers, the three species mostly encountered in our area are the Migratory grasshopper, Melanoplus sanguinipes (Fabricius), Clearwinged grasshopper, Camnula pellucida (Scudder) and the Redlegged grasshopper, Melanoplus femur-rubrum (De Geer) (Fig 1.). Grasshoppers go through 3 life stages: egg, nymph, and adult. They usually have one generation per year, but a second generation may develop in some years. Nymphs grow in size through five or six instars. Nymphs can be distinguished from adults in that they will not have mature wings nor be able to mate and reproduce. Egg to adult stage takes roughly 40 days. Adult grasshoppers will continue to feed, mate and lay eggs up till the first killing frost. Grasshoppers will migrate into newly emerged stands and will devour the young cotyledon leaves. 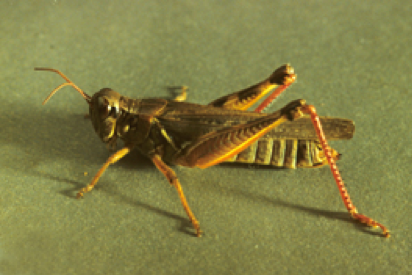 Grasshoppers are voracious eaters and can eat ½ bodyweight forage per day. 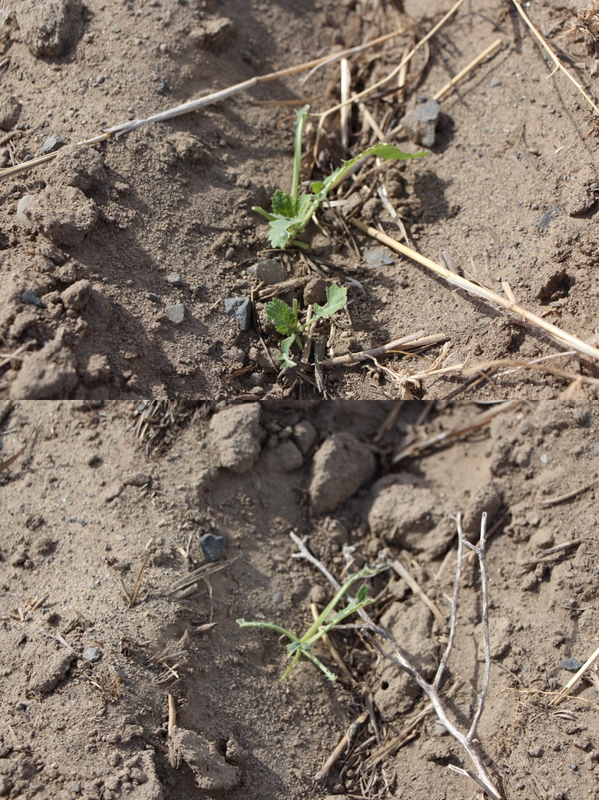 Feeding damage is usually confined to field margins, as was the case here in northern Douglas County last week (Fig. 2). However, during high population outbreaks, total stand loss has been known to occur. The economic or action threshold is 7 to 12 grasshoppers per square meter. For questions or comments, contact Dale Whaley by email at dwhaley@wsu.edu or by phone at 509-745-8531.